Organization with style has never been so easy. This wood rail with five metal hooks is designed to hold a wide variety of items coats, hats, handbags, umbrellas, towels or robes. This classic design is perfectly suited for any room from the entryway to the bathroom. The RailBlazers. Aluminum Railing system is designed with an emphasis on style, durability, and quality. Our patented railing system is engineered to be safe, DIY-friendly and easy to install. Made from powder-coated aluminum for low maintenance and lasting performance. Customize with standard or wide aluminum pickets, glass panels, decorative spacers, and more! Available in black and white. Get beautiful, PRO quality results for any deck, patio, or balcony.The 6 ft. Hand and Base Rails connect to the railing posts to create the framework of your railing system. They can be cut to shorter lengths. Step-by-step installation guides, videos and other resources are available to guide you through your installation. For use with: End/Mid/Corner/Stair Post, Decorative Spacers, Standard Picket and Spacer Kit, Wide Picket and Spacer Kit, Standard Stair Picket and Spacer Kit, Wide Stair Picket and Spacer Kit, Glass Panels, Glass Panel Gasket, Universal Connector, and Wall Bracket. 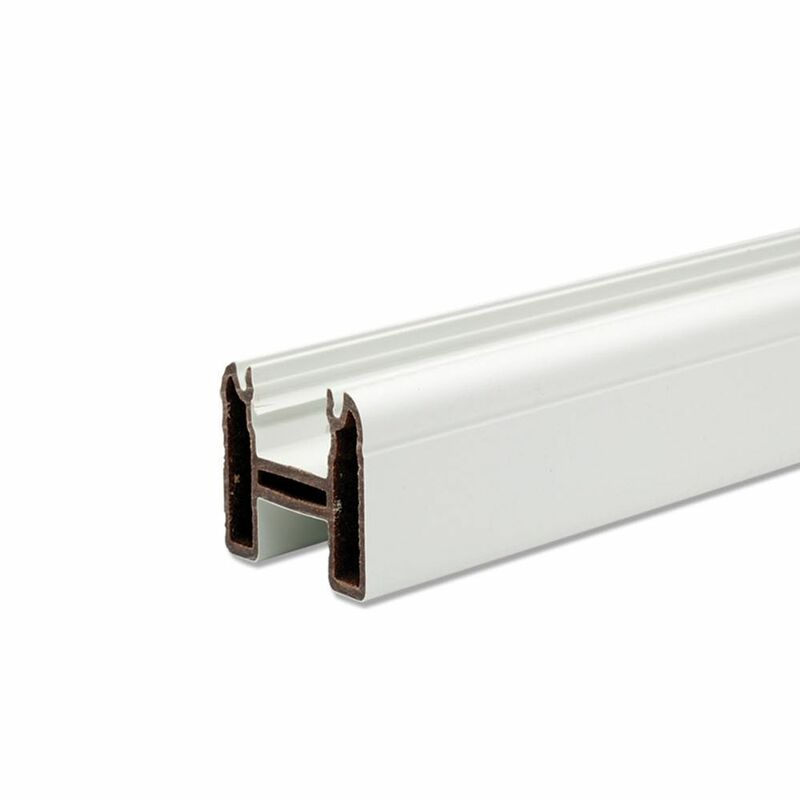 6 Ft. - Universal Top/Bottom Rail - White When people look at your deck, theyll see railing before anything else. Which is why a picture-perfect deck means selecting railing that signifies your style. With Trex, you can mix and match railing components to create a unique look, or choose from our Decking & Railing Duos for a simplified design approach. Trex Transcend Railing is as strong and sturdy as its namesake decking, putting every railing possibility within reach.